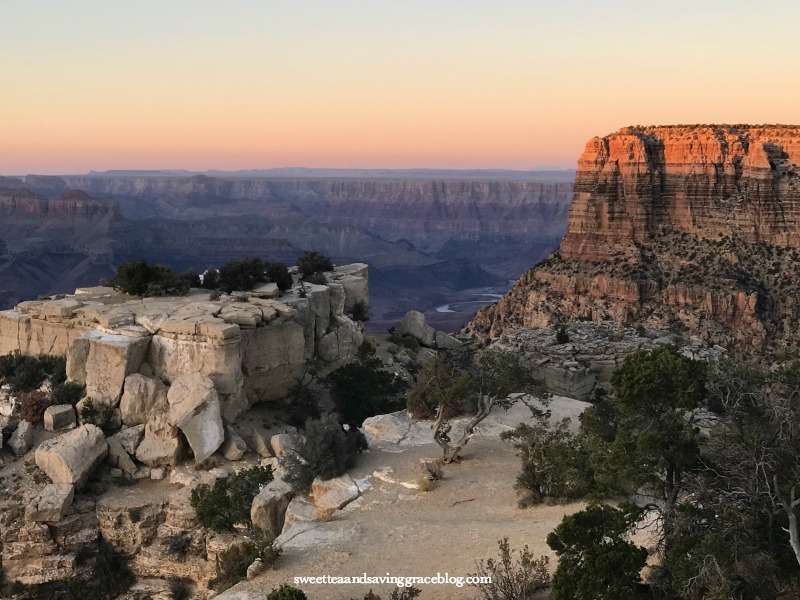 With just a few days available to take a trip together, my hubby and I decided to visit The Grand Canyon in one day, and it was absolutely spectacular in every way! My husband had a week of vacation recently, and we decided to head out of town for a few days to visit a place neither of us had ever been. We take short vacations since we have three dogs, all of which are getting up there in age, so we don’t like to leave them for too long. 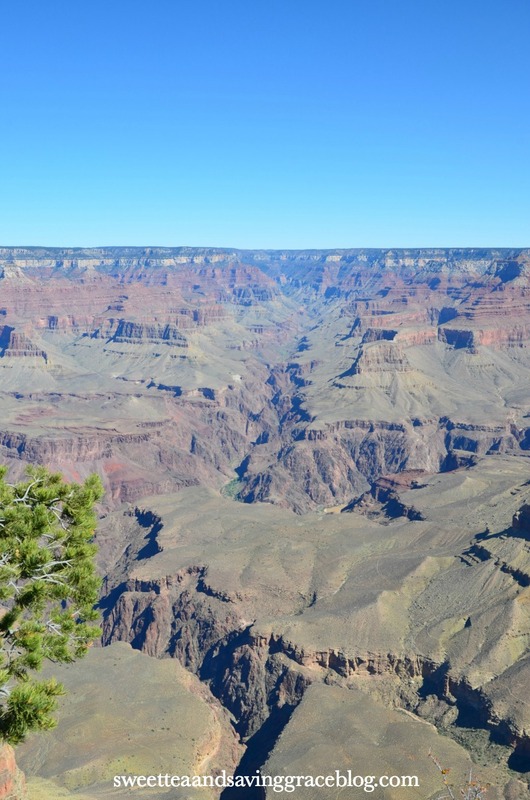 Anyway, both of us had flown over The Grand Canyon several times, but never actually visited, so we decided that would be our destination of choice. 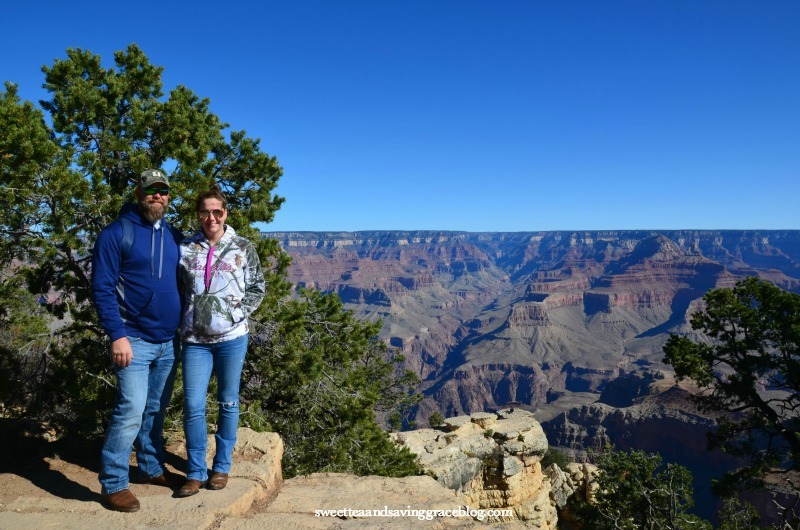 Since we got into Phoenix on the first flight in the morning and hadn’t planned to go The Grand Canyon until the next day, we decided to stay off the main interstate and take back routes from Phoenix to Flagstaff where we had a hotel reservation for the night. In total, we spent about 6 hours driving from Phoenix to Flagstaff, through winding mountain roads up to elevations of 7500 feet at times. We drove through several quaint little towns before finally making it to our hotel for the night. 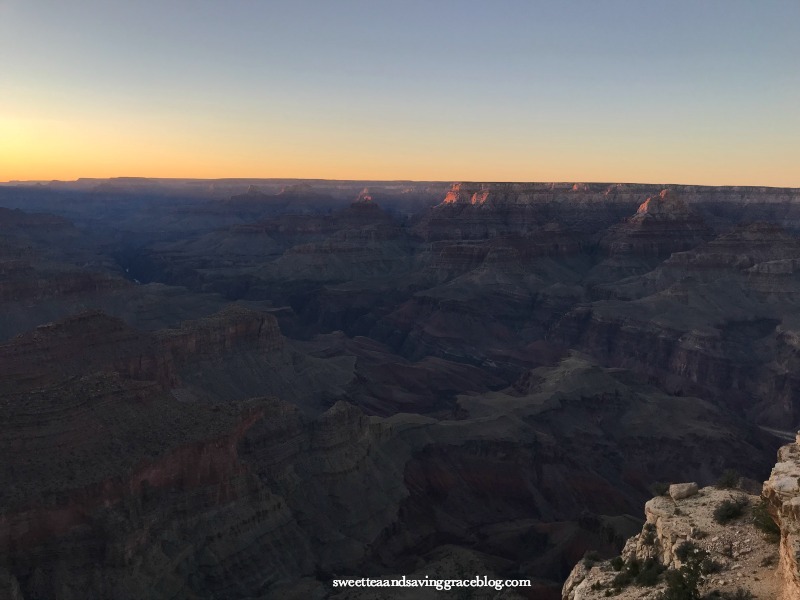 While it was only about 4pm Arizona time, our bodies were back on Eastern time, and we had arrived at the airport at 6am that morning, flown a few hours, then driven 6+ hours, so we were exhausted. We knew we were going to be walking a lot the next day at The Grand Canyon, so we grabbed a quick bite to eat and hit the sack early. 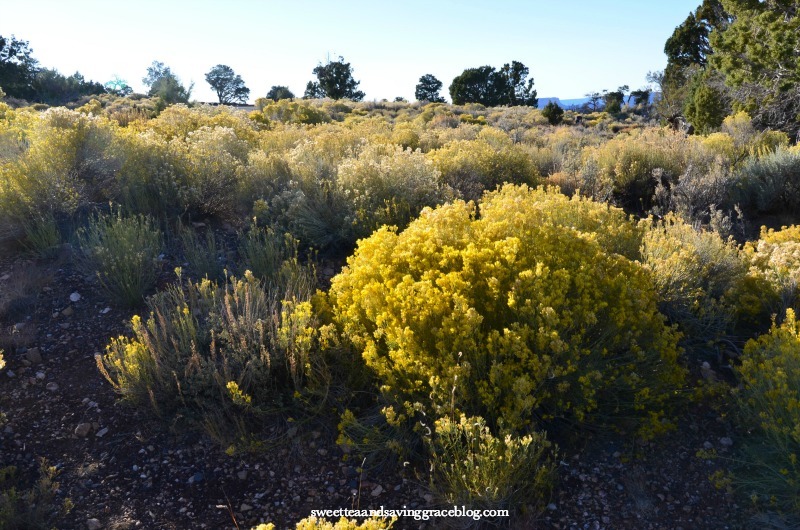 The drive from Flagstaff to the North Rim is just over an hour, so we got up early, ate breakfast at the hotel, then hit the road. We dressed in layers and wore comfortable shoes, not knowing what to expect from the weather at the Canyon. 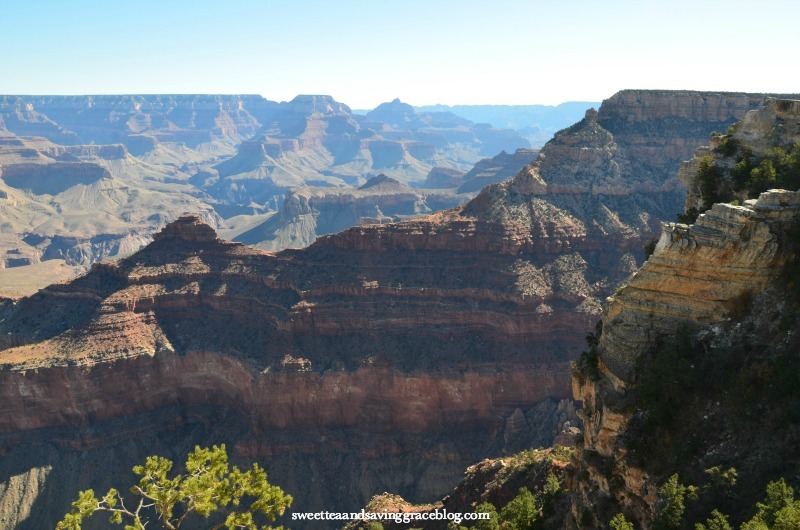 *VISITOR’S TIP* I definitely recommend getting to The Grand Canyon as early as possible. We had no issues finding parking and taking the shuttle from one point to another, but by noon the place was packed. 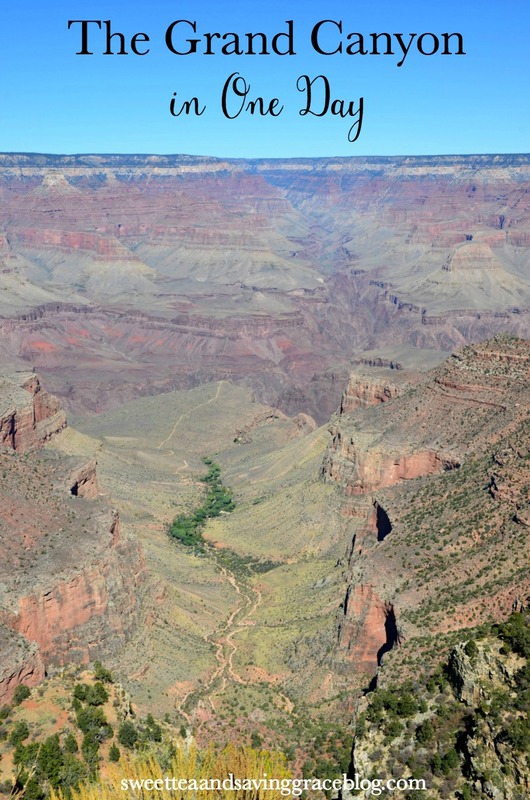 I can’t even begin to describe to you how incredibly breathtaking The Grand Canyon is. It was a spiritual experience for me, and I cried when I saw it for the first time. You just have to experience it. 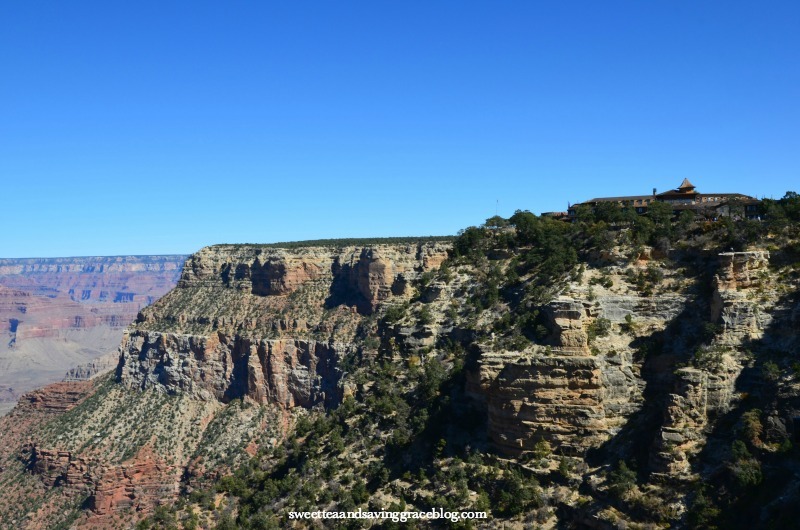 We parked at the main Visitor’s Center inside the North Rim and walked around Yaki Point for a while. 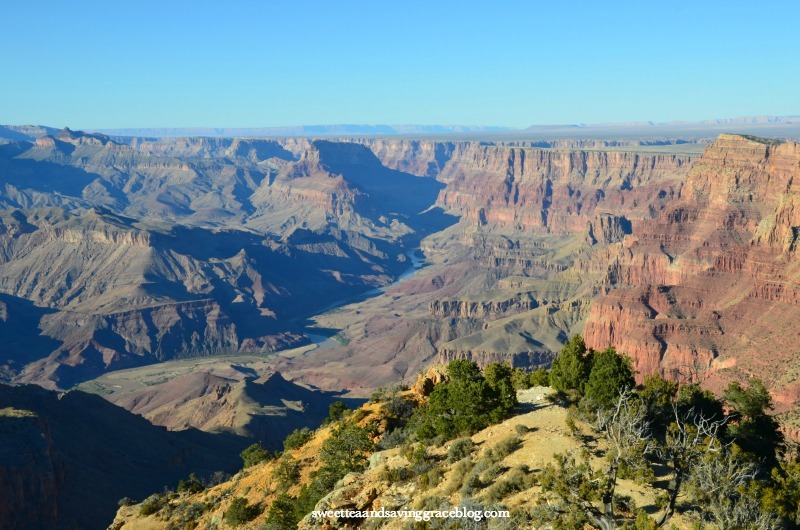 You can drive to some viewpoints, but there are free shuttles that take you anywhere you want to go. You just hop on and hop off whenever you see another shuttle come by. 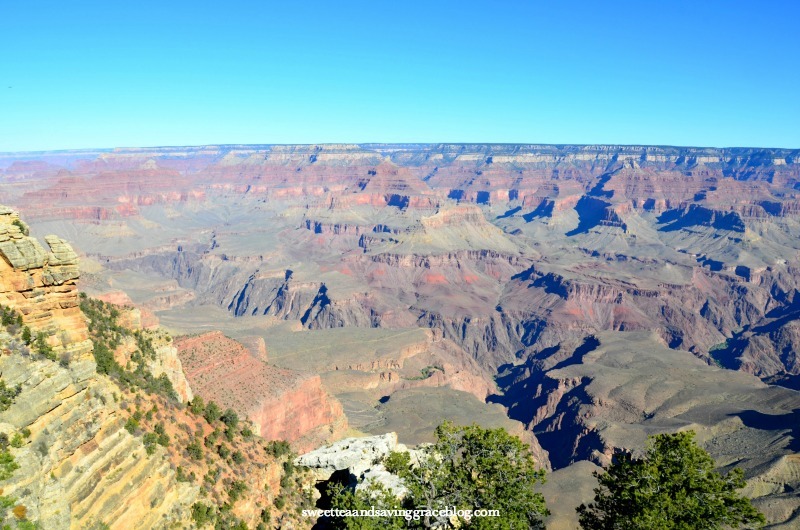 The Grand Canyon Visitor’s Center is one of the main parking lots along the North Rim and it sits along Desert View Drive. 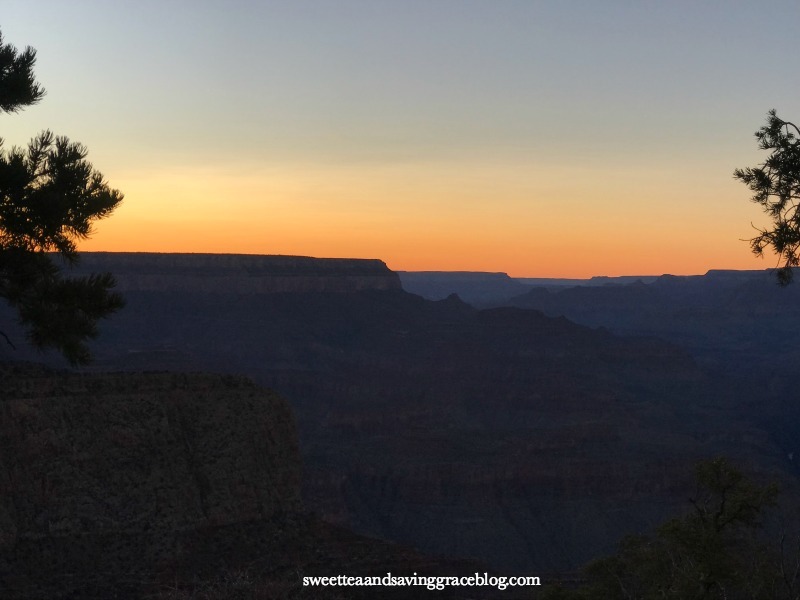 We spent quite a bit of time driving ourselves up and down Desert View Drive, stopping at every single viewpoint along the roadside to stare in awe at God’s creation. 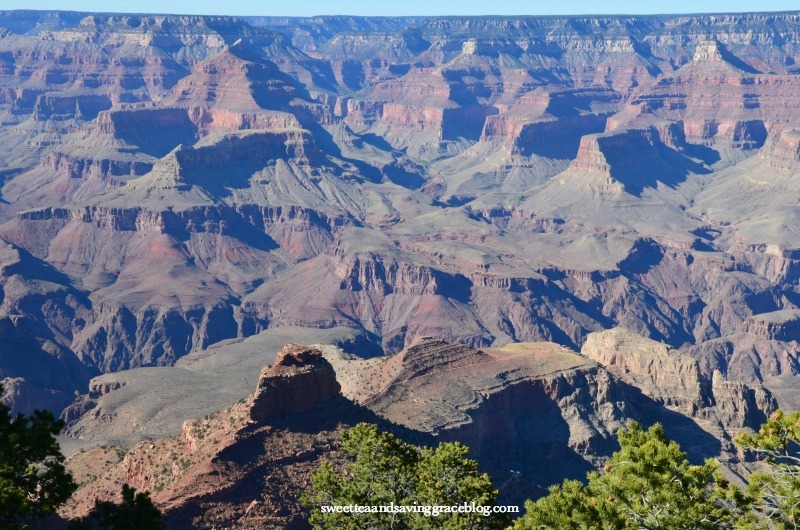 After about four hours of driving and walking and walking (and walking…), we drove to The Grand Canyon Lodge area and had lunch. There are several restaurants around the Lodge, so we just picked one. I had chili in a sourdough bread bowl and it was SO GOOD!! 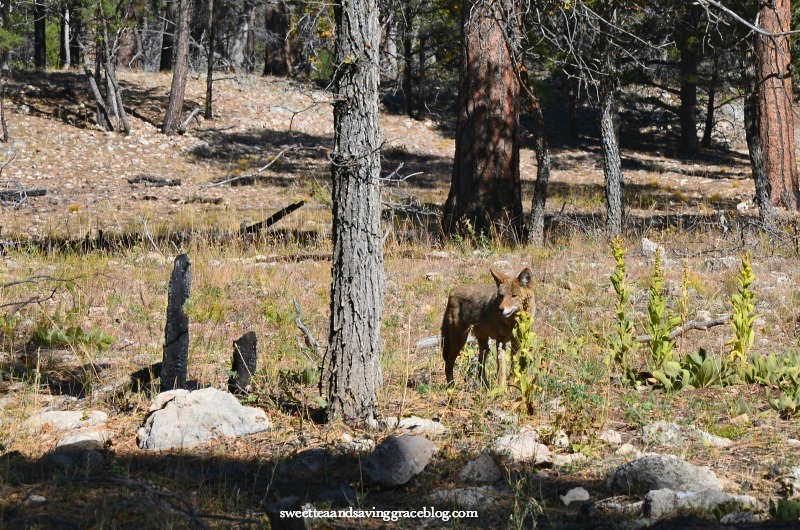 We got back in the car and continued our drive down Desert View Road, pausing to snap a couple pictures of a cute little coyote my husband affectionately named “George”. 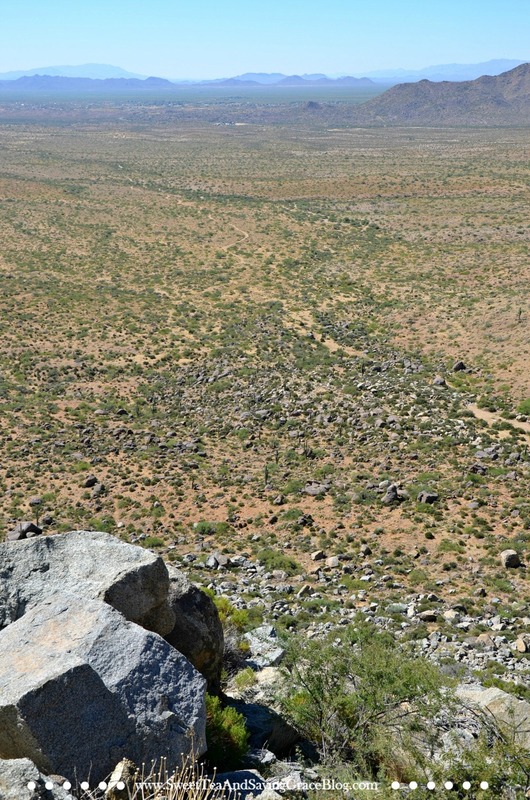 After spending all day at various viewpoints, we decided to head to the furthest viewpoint at the end of Desert View Road. The only thing past the Desert View Area is the park exit, and we knew we weren’t ready to leave yet. 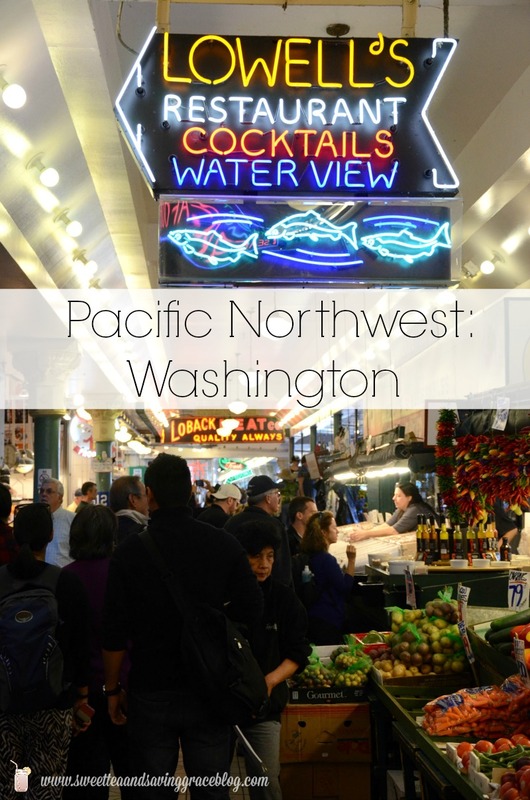 The Desert View Area makes a great mid-day or end-of-day stop because there are restrooms that aren’t super crowded, and there is a little shop with ice cream! 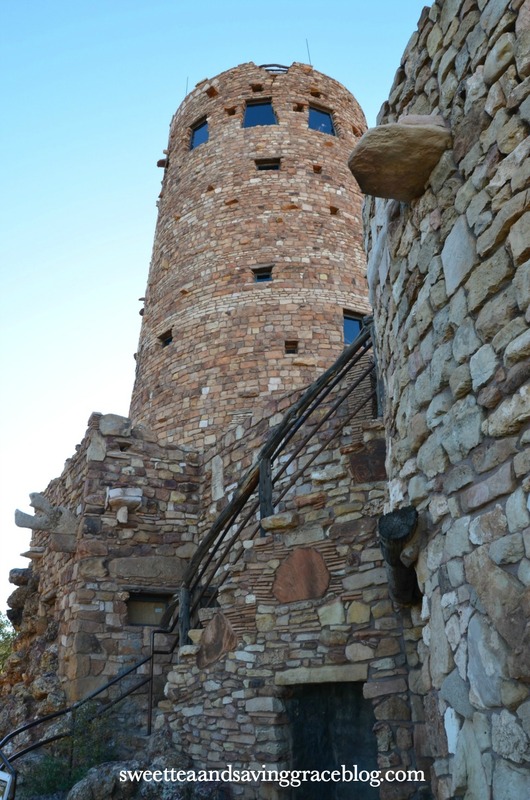 It’s also home to the Mary Colter’s Desert View Watchtower. 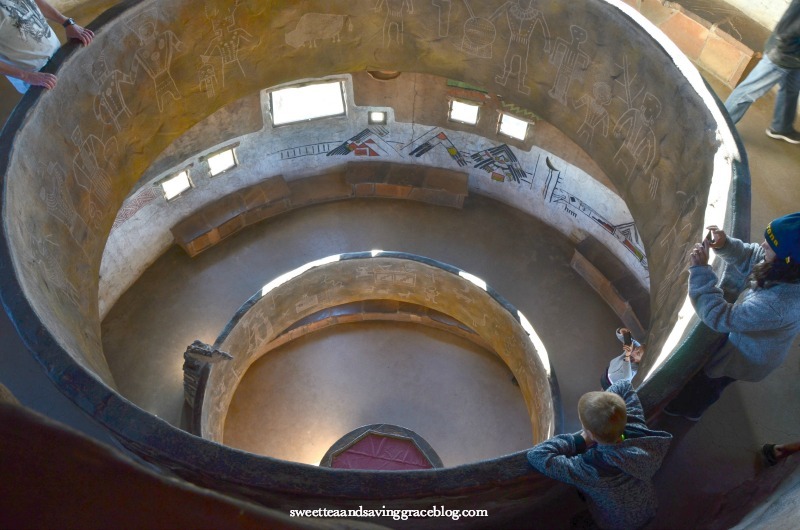 The interior of the Watchtower has several sets of staircases leading up to different levels for optimal viewing, and the interior design is very obviously inspired by the Puebloan people. There are windows all the way around and you can see for miles! 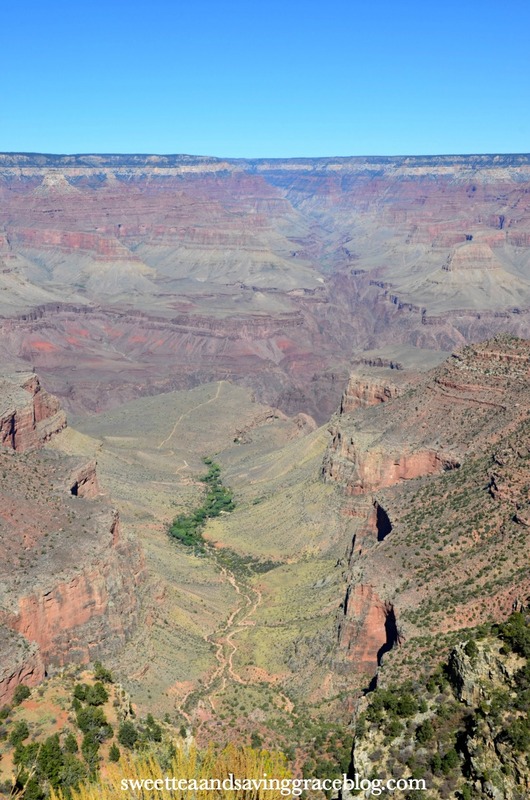 The Colorado River can be seen perfectly running through the Canyon from the Watchtower. 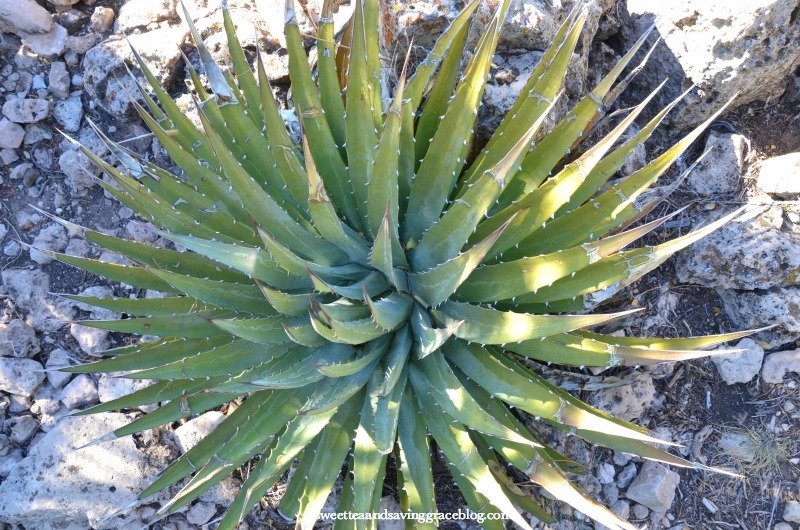 The Desert View area offers the opportunity to see more than just Canyon, with beautiful plants growing wild all over the walls and floor of the viewpoint. The day was drawing to a close, and although we were exhausted after spending more than 9 hours at the park so far, we knew we had to stay for sunset. 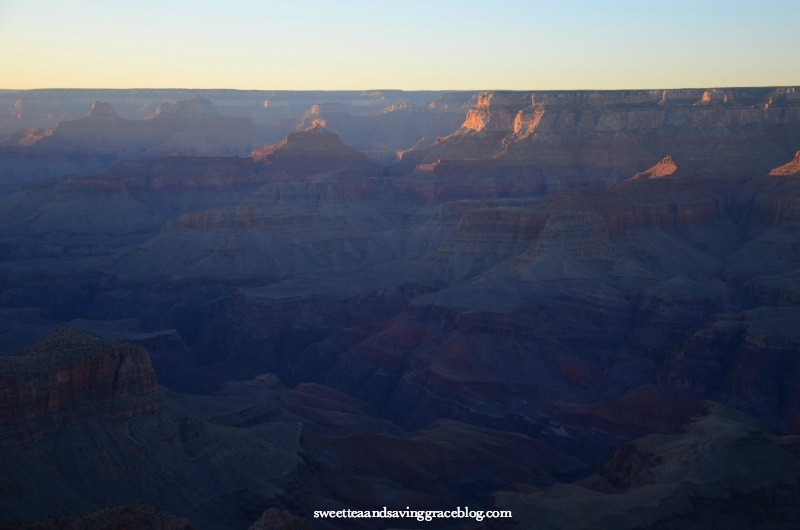 And sunset views in The Grand Canyon are something truly spectacular! 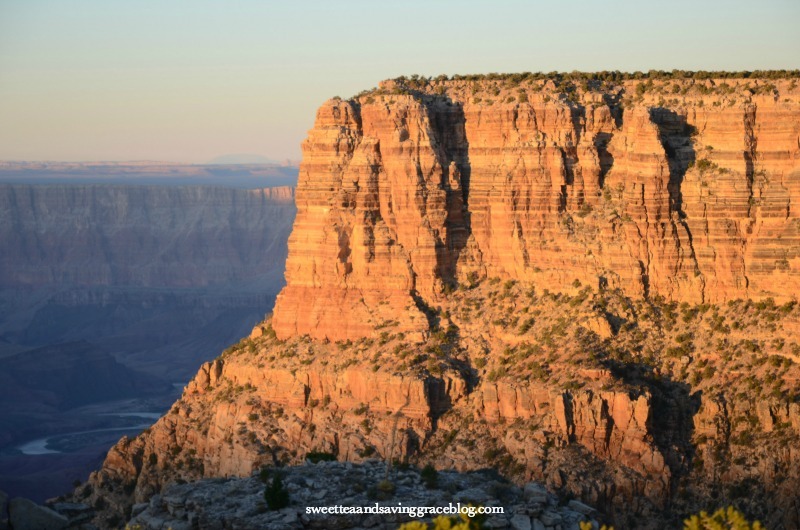 We drove down to Lipan Point, not far from the Watchtower, parked, and found a spot to sit and wait for the sun to begin its descent. Watching the shadows grow longer and the rocks turn a bright orange and red was so incredible! By the way, by the time the sun started to set, the temperatures dropped significantly and we were freezing, despite being dressed in several layers. When we finally left for the night, my fingers were numb!! 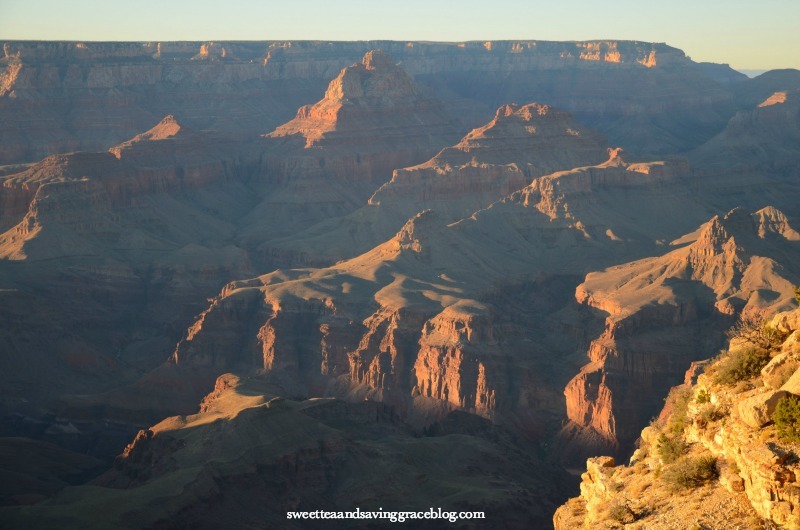 It’s very windy in the Canyon, so be prepared! This was by far the most spectacular sunset I’d ever been blessed to witness, and one I will not soon forget. It was worth staying an extra hour or so to see this, even though it was very cold. In total, we walked 7.66 miles (according to my FitBit), and spent about 10 hours in the park. It was incredible, and we never got bored. 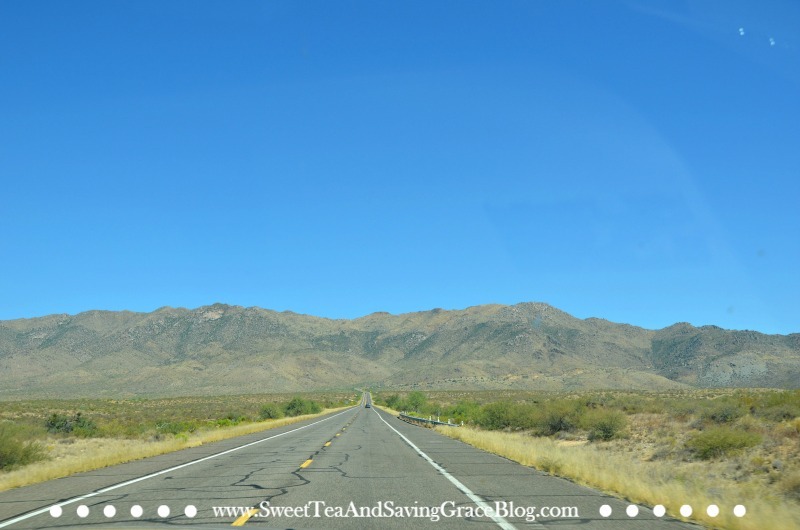 We exited the park through the eastern exit past Desert View Area and drove the 4+ hours back to Phoenix through Cameron. *TIP* There is a gas station several miles outside of the park, but after that, you’re not going to see anything until you get into Flagstaff, so if you need gas, fill up there. We made it to our hotel late that night and weary from our travels, slept for just a few short hours and headed to the airport to catch our flight. It was a whirlwind trip, but such a great memory with my husband! 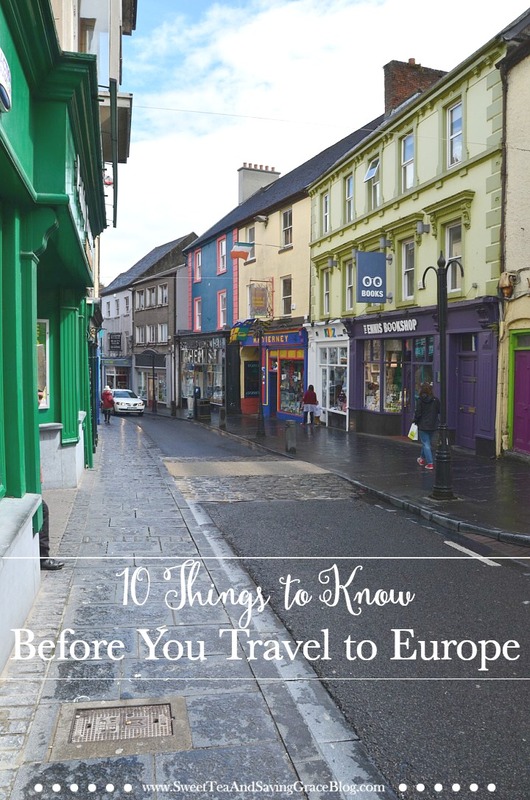 We definitely want to go back again soon!